Hi girls! Today I have one last Ozotic to share with you girls : 915! 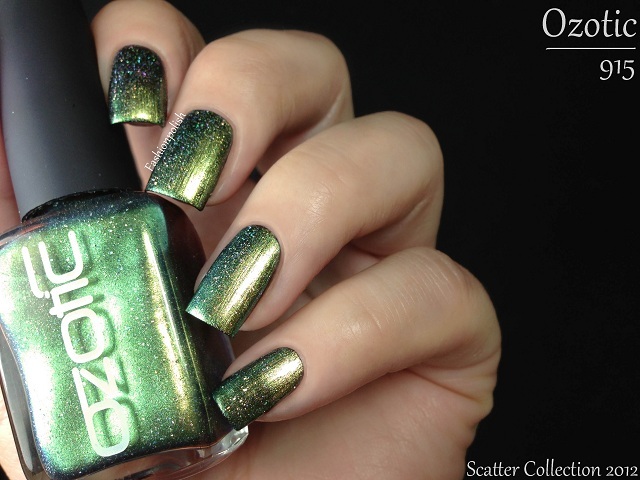 Ozotic 915 from the Scatter Chrome collection is a metallic duochrome shimmer packed with, as the name of the collection suggests, pieces of scattered holographic particles. The base color shifts from green to dark blue and the holo bits are similar to those in the 600 Scatter Holo series, both contributing in a very dramatic and unique look. Formula was fantastic, even and easy to apply and I only used one coat here over black for perfect coverage. Ozotic 915 retails for AU$12 and can be purchased directly from piCture pOlish.com.au or through their international network. This is gorgeous! I think I've died and gone to green heaven! Ohhh I looove this colour! Really great!! these ozotic polishes are really interesting! That looks awesome!!!! I have two questions: do you know of à good alternative to Seche Vite as it sprints My mani? Also: best black polish? I'm thinking Essie's or OPI's versions. Are there better ones? I had the same trouble with getting the larger white hexes out of the bottle and they had to be placed on the nail.Great amazing shining of nails color. 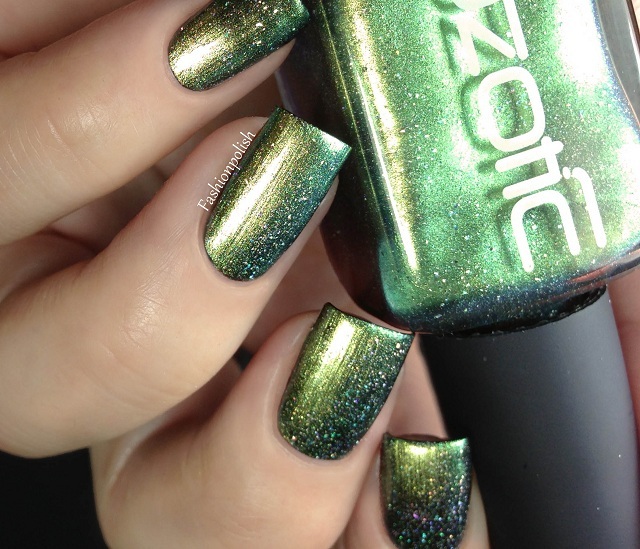 This is a very beautiful green holo! So pretty. I love color and effect!